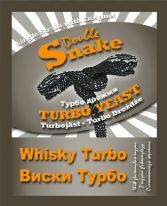 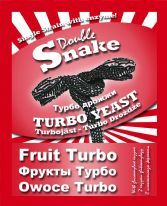 DoubleSnake Turbo Yeasts developed by Alcotec to be more affordable, very popular in Ireland. 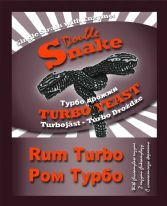 The DoubleSnake turbo yeast range was developed by Alcotec, using new developments in alcohol recipes to produce as affordable range of yeast. 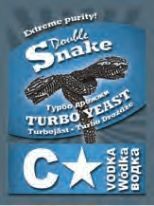 Homebrewers in Ireland quickly realized that these are every bit as good as the Alcotecs. 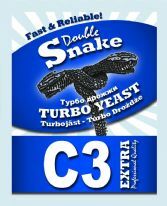 Alcotec and DoubleSnake are by far the homebrew market leaders in Ireland and the UK. 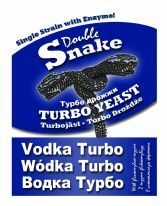 HomeBrewWest are wholesale agents for all Alcotec and DoubleSnake products.